In this article i am going to tell you ” How To Hide Friend List In Facebook“, basically it is very easy to hide your friend list in Facebook. But some new Facebook users may not know about it, so in this article i will tell you how to hide friend list in Facebook. When you join Facebook then you may start adding friends to grow your friends’ circle, but if you don’t want to show your friend list publicly in your profile. 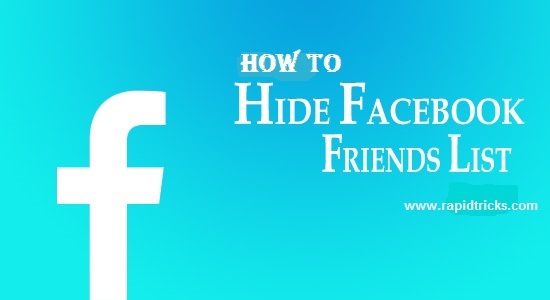 Then you will start searching for a way to hide your Facebook friend list, so in this tutorial, I am going to help you for hiding your friend list fro the public. After hiding your friend list from public, only you will be able to see your friend list, and no one else will be able to steal your friend list from your Facebook profile. 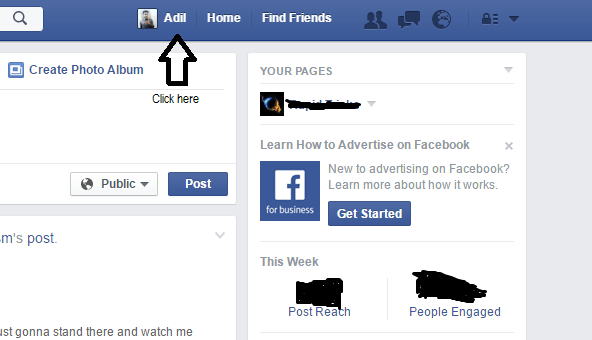 So let’s have a look on how to hide Facebook friends list in Facebook profile. 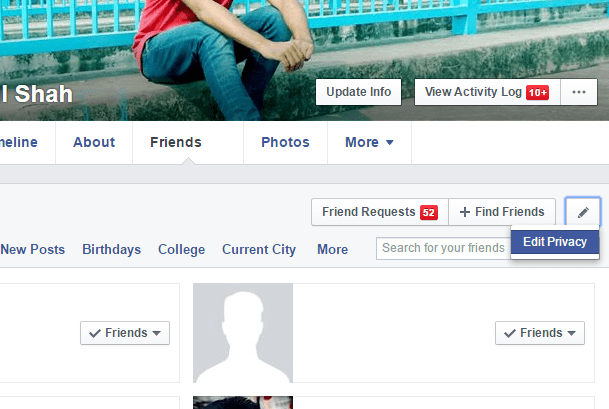 Just follow the easy steps given below to hide your friend list in Facebook. 1. First of all login to your Facebook account (You can do it in your phone/PC/laptop etc.). 2. Now after logged in, click on your profile icon (check the screenshot below). 3. Now click on Friends tab in the menu (Check screenshot below). 4. Now click on manage button (Check screenshot given below). 5. 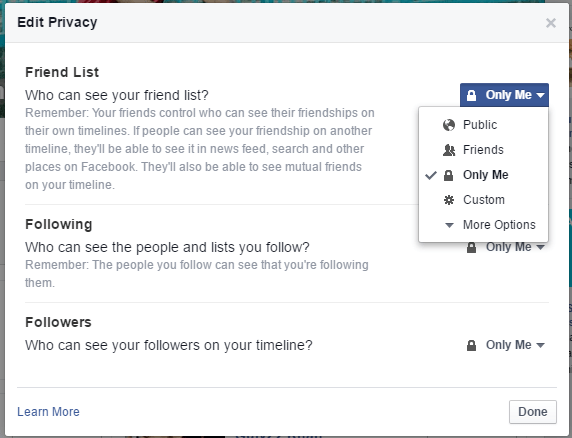 By clicking on edit privacy you will see all the privacy option for your friends list. 6. 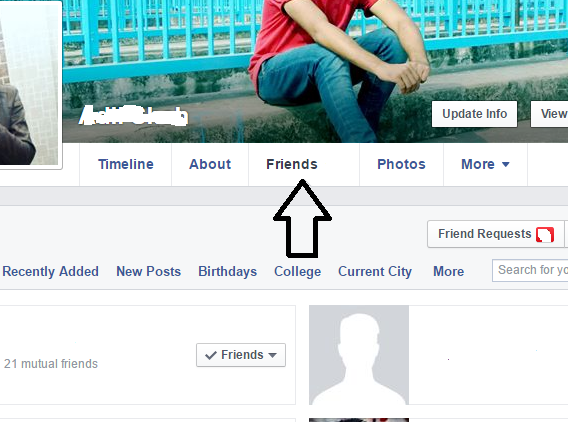 Just Select “only me” in who can see your friend list option and click done. 7. That’s it now you have successfully hidden your Facebook friend list. So above we have briefly described how you can hide your friend list on Facebook, if you like the article then don’t forget to share it with your friends. You can follow our blog on Facebook, twitter etc. to show your support. Keep reading our blog bookmark our blog’s home page to access new tricks without typing address every time. Stay connected with me for more cool tips&tricks for free.